ESCAPE ROOMS - LEGACY ESCAPE ROOMS - your immersive escape room in Orange County! Our games are designed by escape room enthusiasts for enthusiasts and new players to enjoy! The game is highly immersive and our nonlinear game requires everyone to communicate, collaborate, think critically on the fly and out of the box. There are elements of fright but we wouldn't classify this as a "scary" experience. ​Our game experience is enjoyable, adrenaline pumping, and full of fun memories! While booking, let us know if you're celebrating a birthday, anniversary, or team building event as we personalize the game to your event! Make every moment count! Will you accept the challenge? 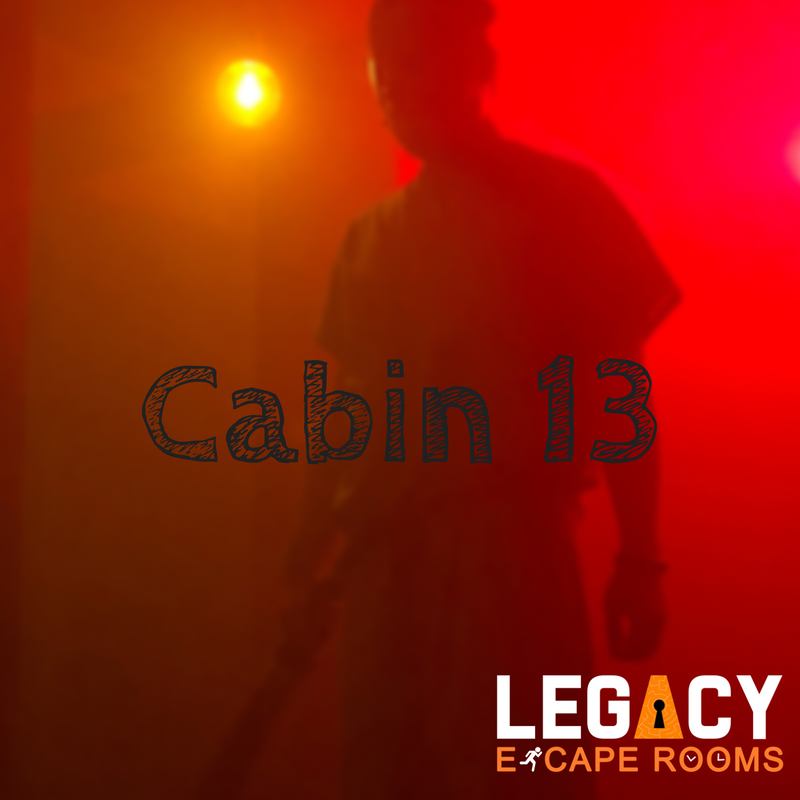 Will you survive Cabin 13? You and your friends just won a cabin trip, only to find out you’ve been kidnapped by Jason! He has a plan for each of you and in Jason's twisted way, has left clues to how he will strike. You each must find out what his plan is and stop him before he stops you! Expect the unexpected.